JOE CLARK LECTURE TO BE RESCHEDULED | Chatham-Kent Agriculture Development | We Grow For the World! 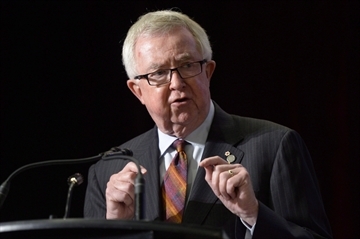 Updating a previous item, the 2015 Winegard lecture featuring Joe Clark that had been scheduled for Oct. 27 at the University of Guelph has been cancelled. Clark will be attending funeral services for former Canadian ambassador to Iran Ken Taylor on that date. The lecture will be rescheduled for a later date.